Bangladesh government will strictly implement its decision to stop the airing of Bangladeshi commercials on downlinked foreign television channels from April 1. 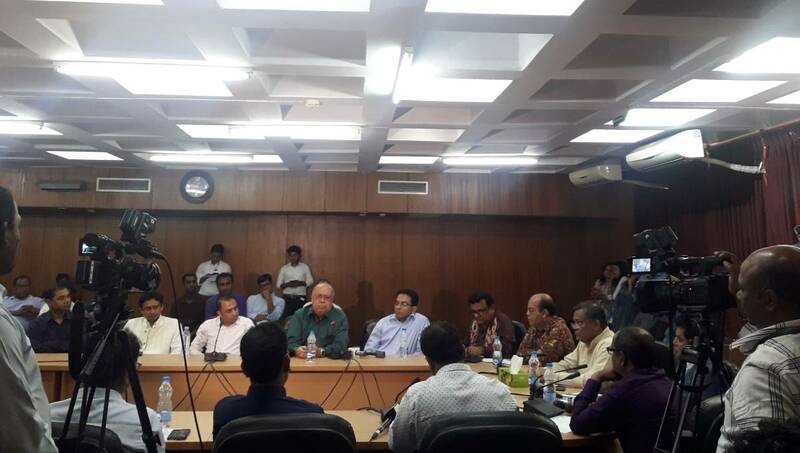 “Running ads on foreign channels is a punishable offence,” UNB on Saturday quoted Bangladesh information minister Hasan Mahmud as saying. “Legal actions will be taken from the first day of April [to stop the practice,” he added. “Some local companies are running advertisements on foreign channels that have become popular in Bangladesh,” Mahmud told a seminar – Private Television in Crisis – arranged by Broadcast Journalist Center at Shilpakala Academy. The government on March 13 banned the airing of local advertisements on downlinked foreign channels. Minister Mahmud hoped the operators have taken necessary preparations to carry out the order. “We have already issued two circulars. We want to implement it (the decision) from April 1,” he said, adding that a final notice will be issued on Sunday. He also mentioned that IP television channels are a new challenge for the local television channels. “The information ministry did not issue them any licence. A set of policies are mandatory for approving such channels,” he said, adding that a committee has been formed to formulate policies regarding IP channels. Channel24 Managing Director AK Azad said TV journalists need to improve skills as well as establish a strong unit to present their rightful demands. Gazi TV Chief Editor Syed Ishtiaque Reza presented the keynote paper while BJC Member Secretary Shakil Hasan moderated the event.